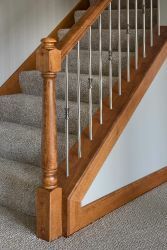 A hot trend right now, the 0125 and 0175 balusters are just the thing you need if you want a contemporary, or ultra modern, look to your home. 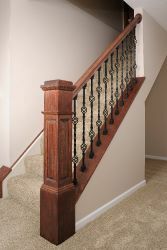 The straight, square lines of this baluster gives the clean look that is most desired in the modern home. 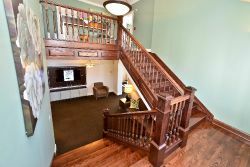 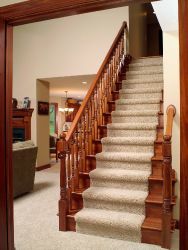 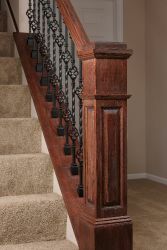 Because the 0125 and 0175 style has been in existence since the 1700's, they are versatile enough to fit into an early 20th century home, as well. 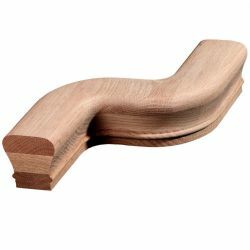 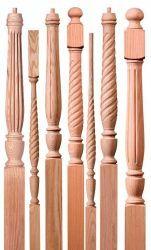 These square, straight balusters come in plain, fluted, or with a horizontal "V" groove. 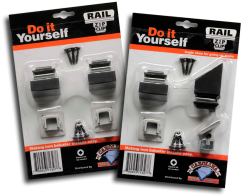 The edges of the 0125 and 0175 can also be chamfered. 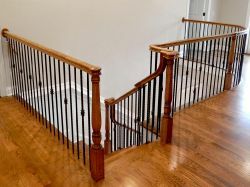 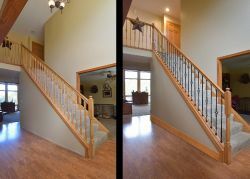 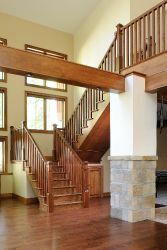 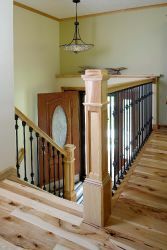 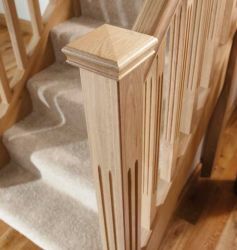 Available in a variety of wood species, the 0125 and 0175 balusters are offered in lengths of 31", 34", 36", 39", and 41"
Experience the 0125 and 0175 yourself as part of Carolina Stair Supply's Contemporary Line.